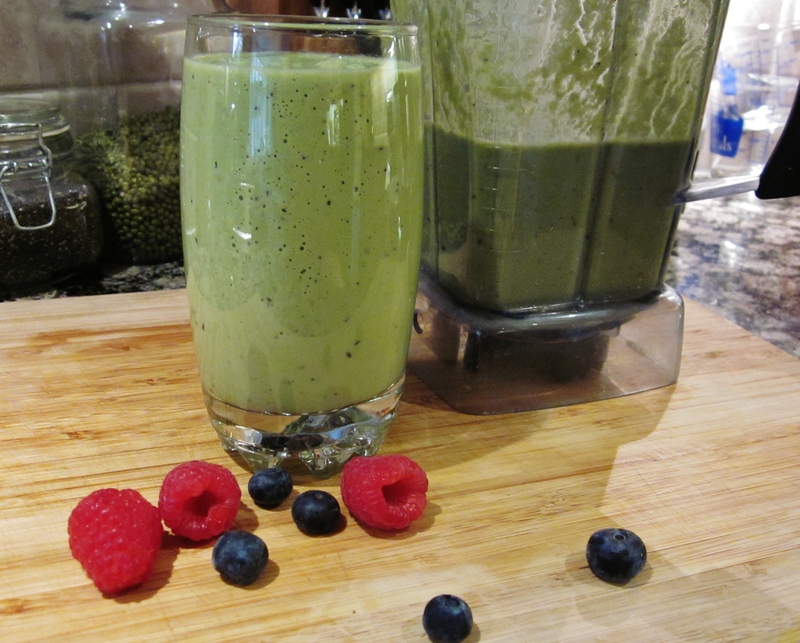 Green smoothies have to be one of the most nutritious and essential part, of everyone’s diet! 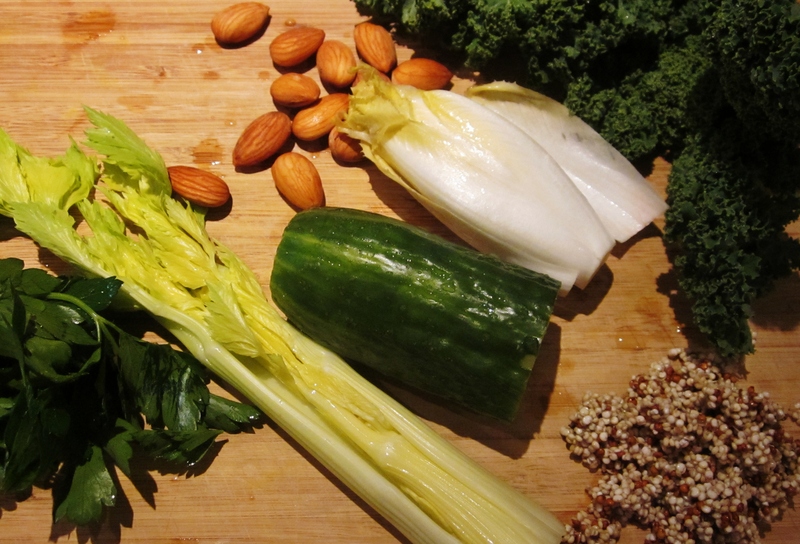 For me, it’s the easiest and fastest way to get raw greens, proteins and fibre into my body! Oh, did I mention delicious!!? That’s right, just because its green, doesn’t mean it has to taste green, for those of you who are afraid of the color! lol. I try to have one every day, breakfast or lunch, keeps me going for hours, and I have all this energy that I haven’t had in years! My digestion is better, my tummy is flatter and I’ve lost weight in that notorious middle, that does not want to go away! 2 cups filtered water (use filtered water or tap water that has been sitting overnight in a glass container, to expel the chlorine. Rinse Almonds well and put in a large glass jar, add filtered water and leave on your kitchen counter over night. The almonds will swell in size and become softer and back to a more natural, pre-dried state, making them easier to digest! 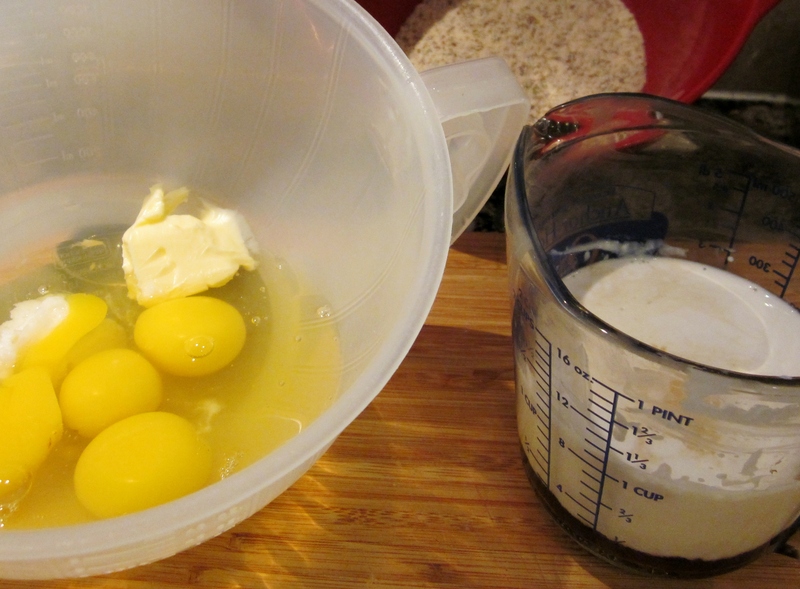 The almonds will be a bit stuck together so give them a shake to loosen them up and drain the water. You can also drink the almond water or use it to flavour other things. Let them dry off a bit and put them in a jar with a lid and keep in the fridge. Use within the week, however you like! Rinse Quinoa well and place in a bowl, add filtered water and let it sit on your counter overnight, at least 12 hrs. 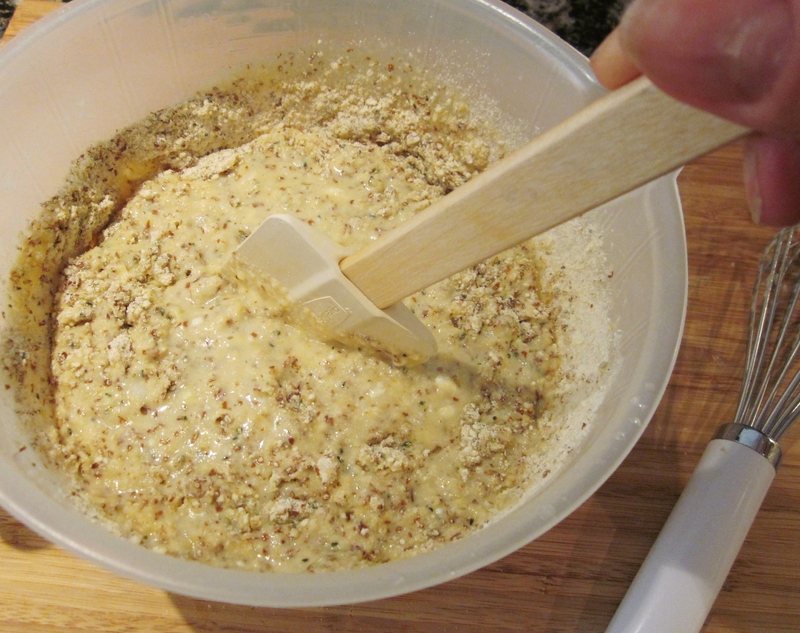 With a tight strainer, drain the quinoa well and put in a glass container with a lid. 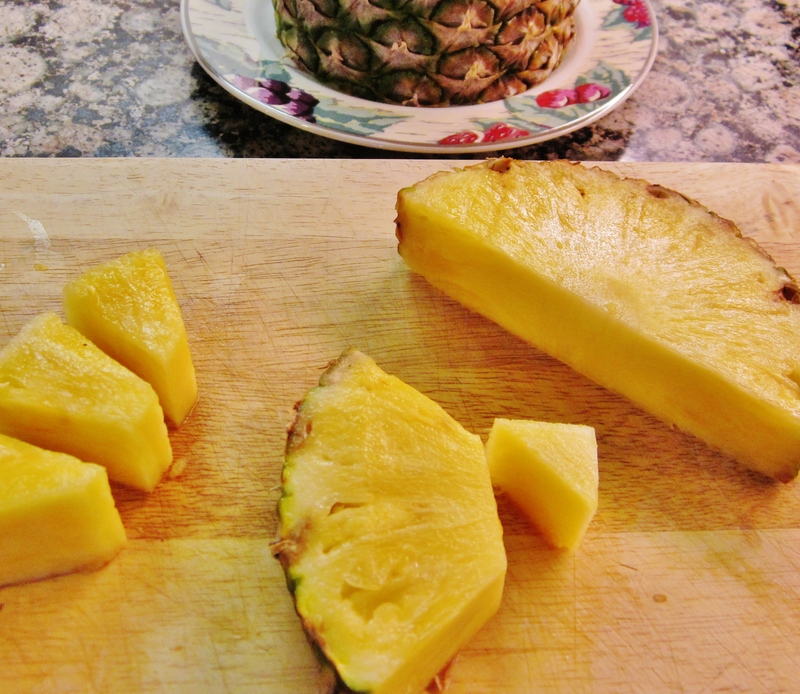 Refrigerate and use in salads, smoothies and any other way you like. You’ll notice in a couple of days they will start to sprout little tails. This is a good thing! Use within 5 days or so. In a high speed blender or Vita Mix, add liquid, almonds, quinoa, celery and kale and blend first on low gradually increasing speed till everything is smooth, (few seconds). Add everything else and do the same. 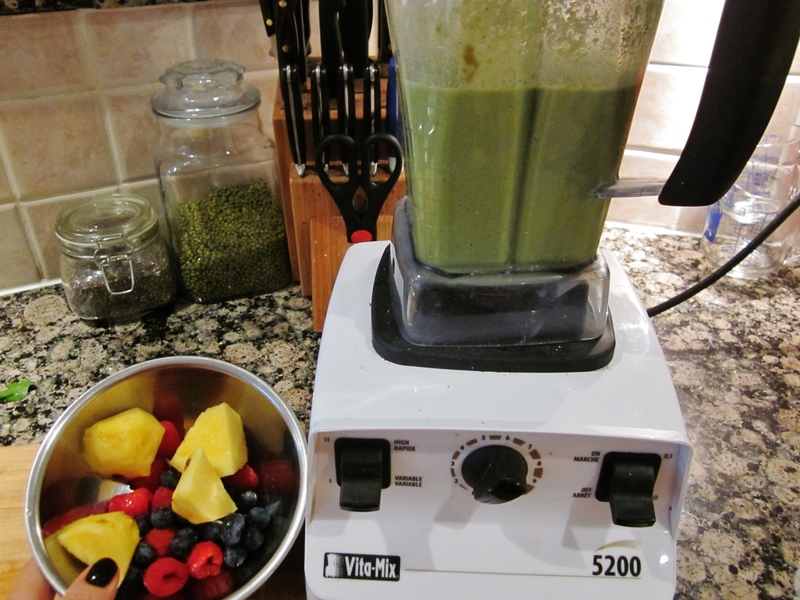 Finish on High for a few seconds to make sure everything is blended, and your done! As you can see, this makes a lot, so drink up, or share with your loved ones! 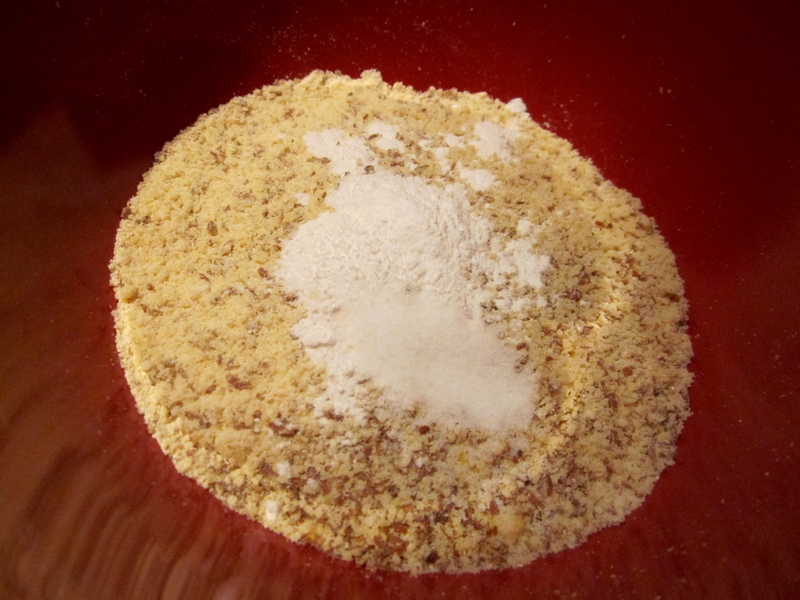 If you do decide to share, I would increase the Oatbran per person, just to make sure everyone is getting enough fibre! Posted in GLUTEN FREE, VEGITARIAN and tagged Blender Recipes, breakfast, food, gluten free, Quinoa, recipes, smoothies, vegetarian. Bookmark the permalink. September’s here, and back to the fall routine we go! I had a fabulous summer, and hope you all did as well! I took a break from the computer because it was so fabulous, but I’m back and have a lot of recipes and adventures that I will be sharing with you!! This first one seems to be fitting, given the time of year. I love pancakes! 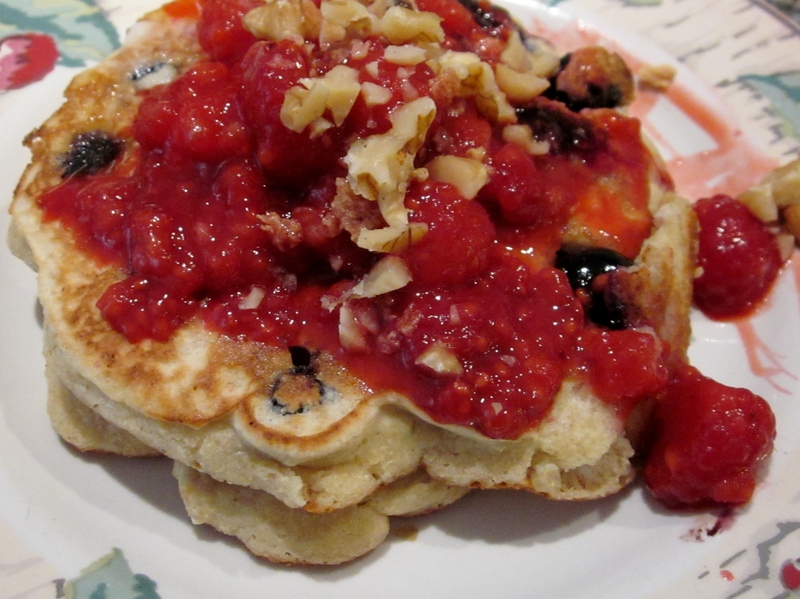 I have created this recipe after trying many different ways to do gluten-free pancakes. They are totally Yummy! Filling! AND… Good for you! Hope you try them and enjoy!! 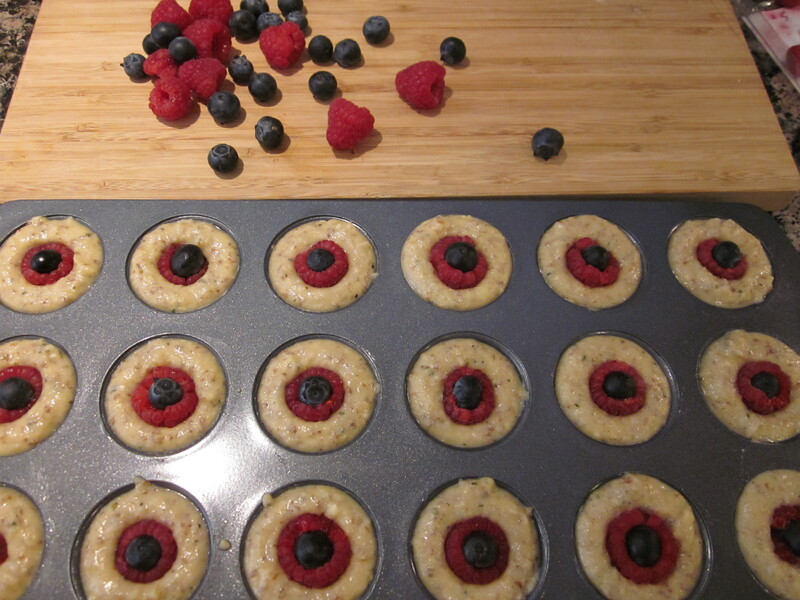 You can add berries like I did or make them plain, either way delicious! 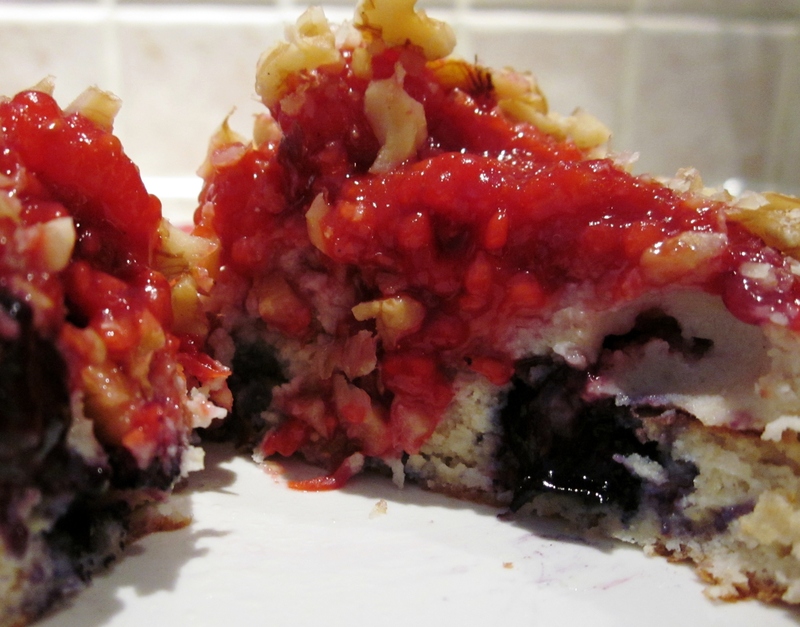 Top off with chopped Walnuts and enjoy a decadent Breakfast or Brunch! 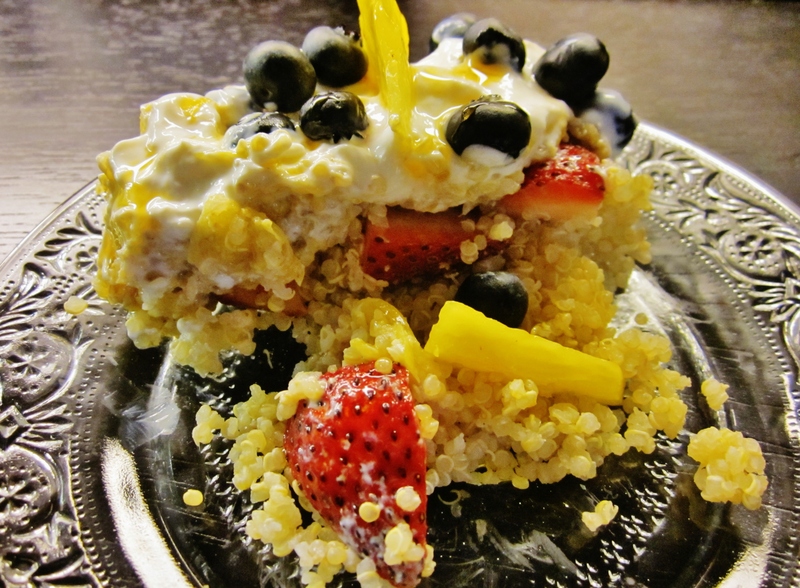 Posted in GLUTEN FREE and tagged breakfast, Coconut, food, gluten free, healthy, Quinoa, recipes, vegetarian. Bookmark the permalink. 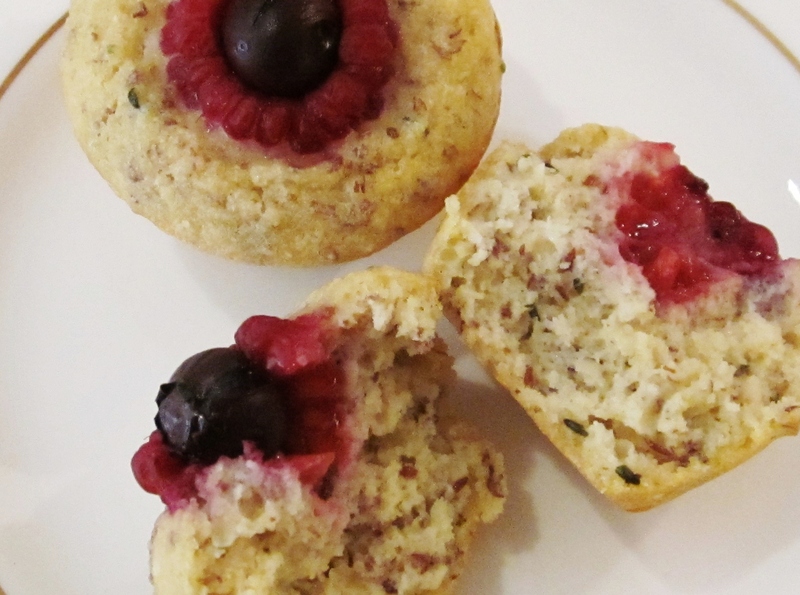 NOT AN ORDINARY GLUTEN FREE MUFFIN! I’ve made coconut flour muffins many times, experimenting with different flour combinations and I have to say, I think I finally found the magic formula! 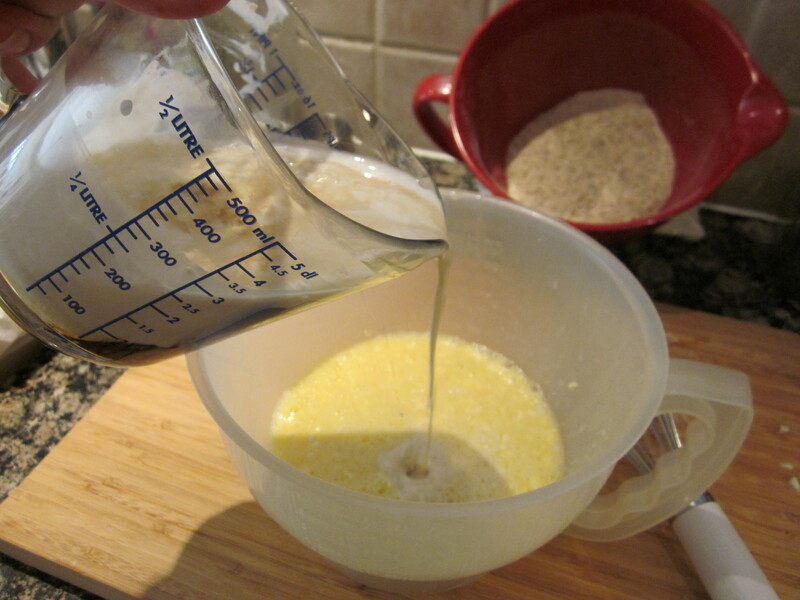 Since I’ve been using Quinoa a lot in my diet, I decided to try the flour in my baking. What a nice surprise! 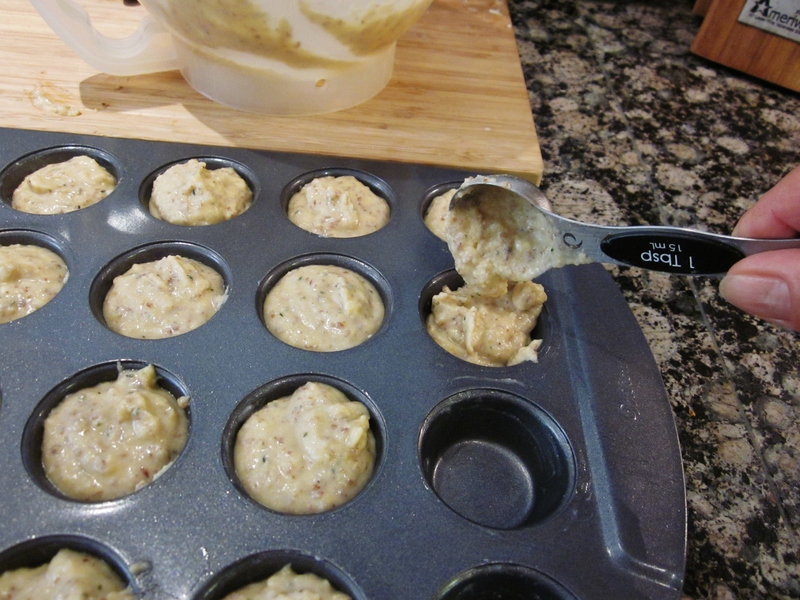 It made the muffin so light and almost airy. More cakey than bready! De-lish! I can’t wait to make a cake out of it. These little guys may be tiny, but they pack a nutritious punch! Now for those of you who shy away from anything that sounds too healthy, don’t worry! They taste good too! 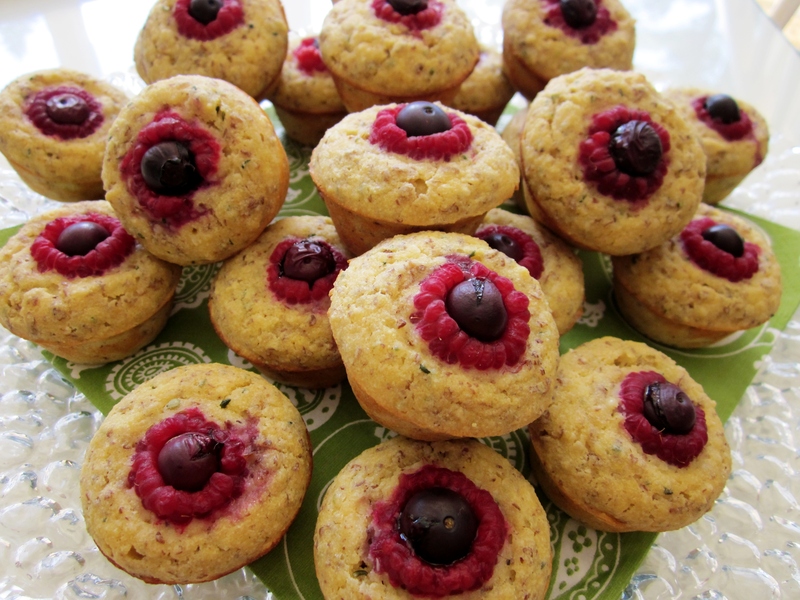 Posted in GLUTEN FREE BAKING and tagged baking, breakfast, food, gluten free, healthy, muffins, recipes, vegetarian. Bookmark the permalink. I don’t know about you, but I wouldn’t mind starting my day off with this every morning! This is what I made for my husband for breakfast, this morning . He was going golfing, and it’s a little chilly, actually, it’s down right freezing out there, even though the sun is shining! I hope he dressed warm enough! Oh well, a couple of bad shots and he’ll be peeling like a hot potato, hehehe. Anyway, this should stick to his ribs for a while! 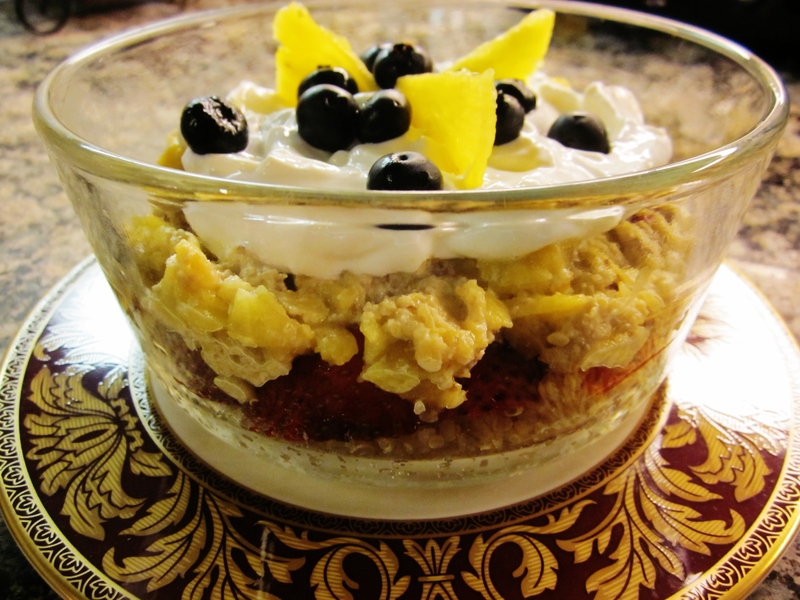 I call it “QUINOA PARFAIT” Have it for breakfast or dessert! If you are going to have this for breakfast, put some quinoa in a bowl, add the pineapple mixture, strawberries, then, spoon some yogurt on top, garnish with blueberries and drizzle with maple syrup. YUMMM! Lip smacking, plate licking good! You can make as much or as little as you want! I think this would be a beautiful addition to any brunch. 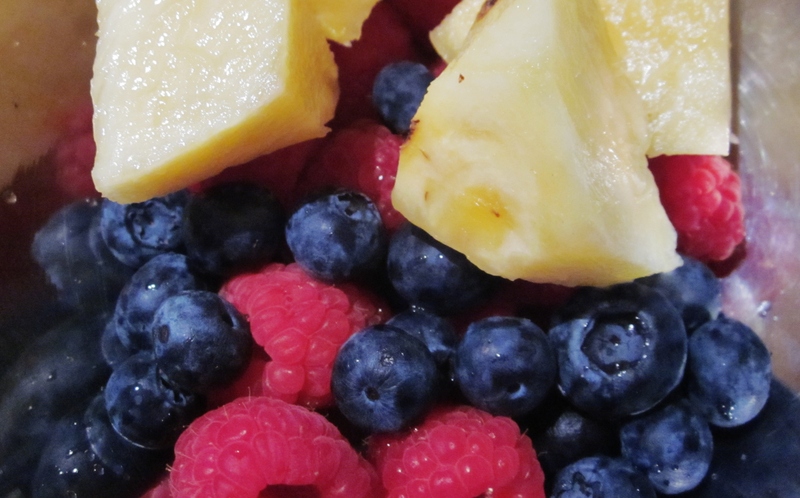 Use a pretty glass bowl and layer the ingredients to make a visual statement. Get creative with your own additions and have fun! Don’t forget the Maple Syrup drizzle on top! Posted in GLUTEN FREE, VEGAN, VEGITARIAN and tagged breakfast, food. Bookmark the permalink.